ओमान एशिया-महाद्वीपे -क्षेत्रे ‍देश: अस्‍ति. ↑ "Cabinet Ministers". 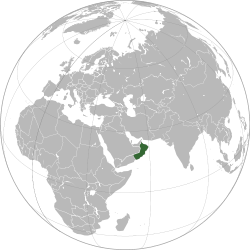 Government of Oman. Archived from the original on 22 December 2013. Retrieved 13 October 2010. ↑ "Final Results of Census 2010". National Center for Statistics & Information. Retrieved 7 January 2012. ↑ ५.० ५.१ ५.२ ५.३ "Oman". International Monetary Fund.